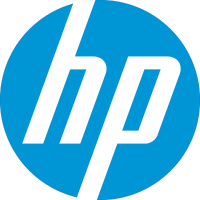 HP Recruitment scheduled for Technical Solutions Rep for B.E/B.Tech/Any degree graduates at Bangalore Office. The detailed eligibility criteria and job descriptions are given below. To adequately perform the duties of the job individuals must possess a minimum of 6 months to 1 year general experience, or equivalent college level education. case logging systems and obligation systems. Applies basic knowledge of the job skills and company policies and procedures to complete a variety of assignments/tasks. Good understanding of the general/technical aspects of the job. Works on assignments that are routine to moderately complex in nature and require basic problem resolution and independent judgment. Allocates own time efficiently. Receives general instructions on all work. How to apply for HP Recruitment? Interested and Eligible candidates apply for this position in online by the following link.